How do some families and individuals incorporating agile methodologies into modern family life in 2017? 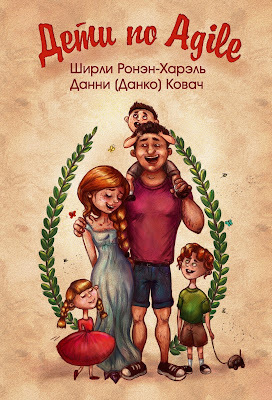 Agile Kids Russian - Is Now out! Scrum with Kids and Family. 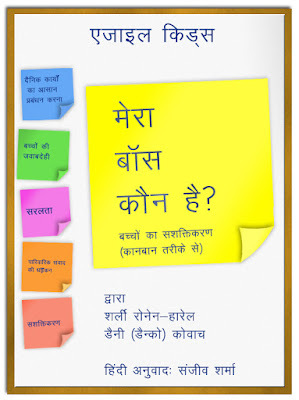 Agile Kids - Hindi version is out! - एजाइल किड्स मेरा बॉस िौन है? Can our online relationships hold a real socialization benefits? Some say that online interaction misses the essential quality of “real” human relationships. As far as those people who actually understand the Internet are concerned, this is not true. It’s not true for gaming, personal relations , coaching and even therapy. But, its real for the good and for the bad in it. Finally- Being able to Successfully deal with a rapidly changing environment. Change (and adapting to it) needs to become an ingrained habit and this is a simple way to do so with any coaching technique. Coaching is becoming widely acknowledged and people realize just how effective it can be. Coaches use various types of tools and methods for life coaching, personal coaching, career coaching and many more…after all, Coaching is about getting the very best out of someone and enabling them to make decisions that will improve their life. This book is a tool, a booster to use with all of these different coaching methods. It's a booster for coaching results, to allow every coach in every field and level of coaching, to take the coaching to a new level, suitable for dealing with a rapidly changing environment. The world around us is changing, and fast. It is becoming more and more complicated and the pace of technological change is one of the highest in recorded history. Naturally, this new reality creates new challenges. The goals that we want to achieve, for example, can be ever-changing – and therefore seem unachievable. To face these challenges, we need strategies that will help us regain a feeling of control over our goals, and help us reach them. We need ideas that will enable us grow and flourish, while at the same time help us face the uncertainties of change. The need to develop new strategies and ideas, and adapt to changes, is at the heart of many coaching processes. Why? Because as coaches, we recognize our coachees' universal need to deal with change. They need to understand what needs to be changed, and they need to learn how to both preserve their newfound behavior so that it doesn't dissipate within a week or two, and how to easily change again when needed. Based on Lean and Agile methods, our Agile\Lean Coaching Booster teaches people how to see change as a habit, and embrace change as a way of life. This book will help people leave their comfort zone, turn dealing with new changes into a habit, and help them change our their habits effectively and quickly, all while demonstrating how it can be repeated in the future. Lean and Agile methods boost productivity, promote innovation and have been tested (and proven) in real-life situations. They have achieved better results than any other method so far. 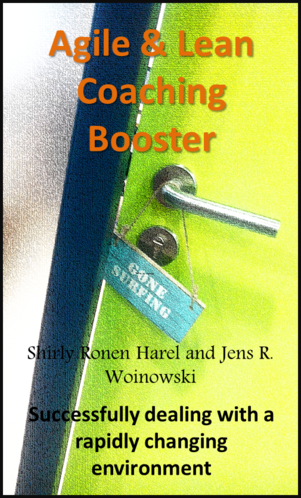 The Booster also introduces a framework that helps you coach easier, working together with your coachees towards the goals they have developed themselves. The Booster is written to be simple and intuitive, showing you how to simplify the complex environment of change in which we live. This makes it easier for us to set goals and establish a vision, as well as cope with changes. It's not that the questions we ask, as coaches, are not suitable anymore; it's not that the goals and value we help the customer realize have lost their relevance; it’s the way we manage the flow that leads to achieving these goals that has become unsuitable for rapidly changing environments. Anyone can use it, anyone can take the framework suggested, follow a few simple principles and apply it to any kind of coaching method. This book was written out of our experience as Agile coaches, dealing with rapidly changing environments. All we did is merely collect these amazing tools and present them here for your use. Where to begin to have a “real” conversation with their child? How do you conduct a conversation without falling into common pitfalls that results with a failure to communicate? This Roojoom will get you started. Can agile management techniques, common in the business world, contribute to the way the family unit and its members function? Some believe so and are already busy implementing. Yuval's (42) career was skyrocketing and he was definitely on the fast track to success: within five years he had managed to turn from a simple programmer at a small high-tech company to a director of development leading more than 50 workers. But while at his company office he felt that he was dealing with intellectual challenges suitable for his abilities – translating complex thoughts into sentences that were thoroughly heard and peacefully drinking his cup of coffee – at home the picture was altogether different. In those days in which he managed to come home before his four children went to sleep (the two young daughters were born in the last five years), he almost regretted not staying in the office to get some more work done. The home was utterly chaotic: the children (at their parents' request the family shall remain anonymous, YH) had impossible demands for dinner, they refused to eat and yelled belligerently at any suggested alternative. They threw their wet towels on the floor after showering and refused to turn off the TV and go to bed. When they were under the blankets they suddenly recalled that they had not prepared their homework and in fact have an important math test tomorrow. Yuval's wife, a senior civil service executive, was just as helpless, and when Yuval announced that for the coming week he would be returning at particularly late hours as he was participating in an intensive management workshop, she felt very frustrated. She didn't know the management workshop was about to save their family life. During that week Yuval's workplace was visited by representatives from a company that provides consultation services in Israel and abroad on the topic of Agile management, and taught him and his fellow executives the specific methodology meant for software development companies, namely Scrum. "The approach is based on teamwork (instead of tasks imposed from the top down), rapid and early feedback, and thus allows for flexibility and change. 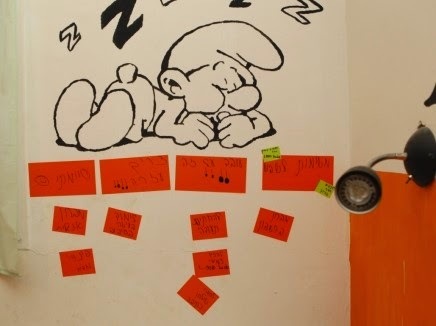 In an Agile approach there are four major position holders: The team – an independent group of employees responsible for various tasks toward delivery (the sentence that was etched in Yuval's memory was "Outside of work people should have free time, and in work they should be free "). Alongside them is the manager (who is responsible to assist the team meeting the objectives) and the Scrum Master (who is responsible for conceptual oversight). These two needs to help the team and keep it motivate. On the other side is the customer, who presents the objectives and determines priorities." "Every short one or two week period of work is called a Sprint, and it includes four meetings. Every day there is a short synchronization meeting between the team members in which they ask: What have I done since yesterday? What will I do until tomorrow? What's holding me back? And at the end of the Sprint period there are meetings dedicated to presenting the product in its current state, thinking of ways to improve and starting to plan the next Sprint, while maintaining an overview of the entire project. "… "During one of the long evenings at the workshop it came to me, that this is exactly what my family needed", says Yuval. "The analogy is almost obvious – the children are the team. The manager, Scrum Master and client are the parents. In the computer world it's about money, and in family life it's about time." Yuval is not the only one who sees this similarity between managing a family and managing a company or business. 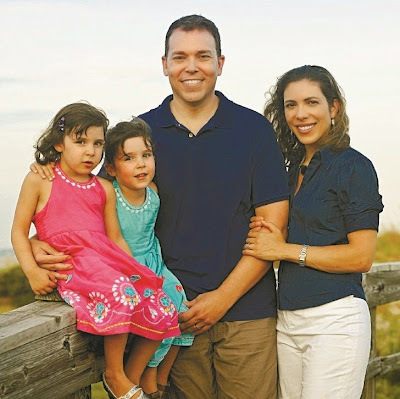 "Most parents feel that their family life is in chaos, that they have no control over what's happening, and that they always need to put out fires and be in defensive positions", says writer Bruce Feiler, author of The Secrets of Happy Families, in an email interview. "I think we need to find ways to manage this mess in which our family life takes place. But if we try to make changes every day, no one will be able to function. Agile gives us a way to organize our life, so that we can adapt to changes while maintaining stability. I've been studying happy families for years, and what I've discovered is that these families have three things in common: They adapt to changes all the time, there's a lot of talking going on in them, and besides, these families spend time outside and play together." In his book Feiler explains that (translated) "surveys show that stress is the most troubling issue for parents and children. A leading cause of stress is change: When children stop suffering from teething pains, they begin with age two tantrums. Just when they don't need us to wash them anywhere, they need us to help them deal with online bullying. It's no wonder that psychologists have determined that the most important quality of a family is its ability to adapt easily. But does anyone understand how to do this?" Feiler, who manages his own family using Agile techniques, believes that the managerial knowledge that has accumulated in America's leading organizations can also be applied within families and might very well save them. When Shirly Ronen Harel, a social worker by training, got divorced, she certainly had to go through some major adaptation processes. "I had two small children, a divorcee who had to restart everything from scratch. The children were exposed to this tension", she says. "I had to find a new apartment, get organized for a great deal of tasks, one of the most important and challenging ones being the children. At the time I was working for a high-tech company, and the more I implemented Agile in the organization I noticed the examples I was using were from the family world. When I taught a manager to set boundaries I told him, 'Think like a parent, there are some boundaries you won't cross: You'll always have your kid wearing a seatbelt in the safety seat even if he screams, but you will let him choose what to wear in the morning.' Or, for example, when you want to give your child a sense of growth, you won't start by immediately giving him the toughest task – doing his math homework by himself. You'll start small, give him a good feeling of capability." 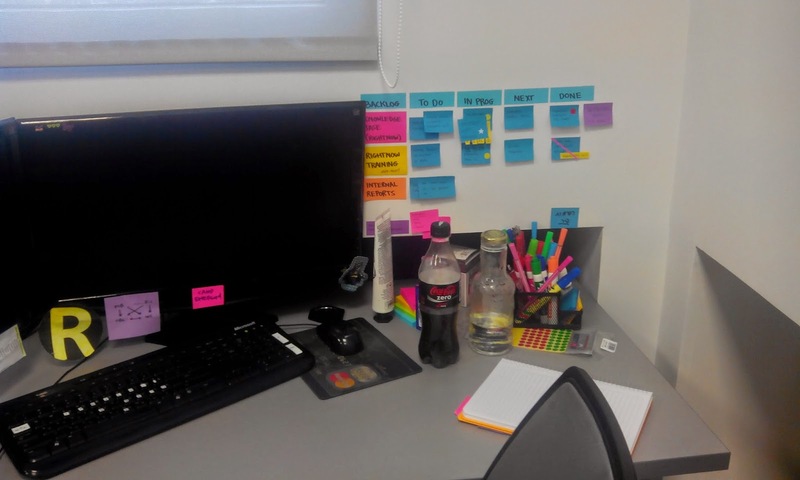 Ronen Harel fell in love with the methodology and today she works as a personal Agile coach. A book she wrote together with Dany (Danko) Kovatch, entitled Agile Kids - Who's the boss of me, was published in digital format in English and Hebrew. Feiler and his family. "The girls needs to do pushups for every minute they are shouting and crying"
An Effective Living Room meeting. So how does all this work, in practice? "Our daily meeting is during the family dinner", elaborates Yuval, "It's important that both parents are present, so my wife and I take care to be a part of this dinner every day. During the meal we ask 'how was my day yesterday', 'what I'm going to do until the next dinner', and 'what's holding me back'. Today my daughter told us she had an exam and it went okay, that she needs to practice for a dictation in English class, and what's holding her back is that she has two after-school activities and doesn't have time. It's a very short meeting, just 10 minutes, meant for family synchronization. Usually the simpler problems are resolved during the meeting, and the children are the ones who come up with the solutions. "A central notion is to successfully develop the children's ability to solve problems independently. If my 12 year old son has a problem, I'll answer 'how do you think you can solve this?' I teach my six year old girl using methods which I also use with my employees. I say to her 'Let's start from the end. Tomorrow at seven o'clock in the evening there's a family dinner, how do we reach a situation in which you'll manage to complete the task despite your after-school activities? Where is your free time?' The vision is independence, and when the vision is clear, decision-making becomes easier." Ronen Harel is also strict about having daily meetings and conversations with her children. 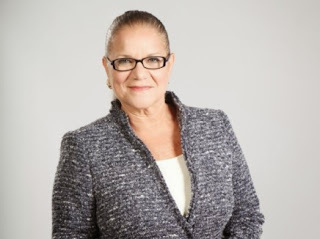 "Even the Supernanny says it's important to have dinner with your children. So we're saying something similar, a bit more focused: since we're all gathered together, let's make this meeting effective. When we start agile it usually start by discussing the trivial and annoying things, such as why are their socks in the living room? But slowly this noise desists. In a very short time the children are already taking responsibility for tasks such as brushing their teeth and homework and this gathering takes a turn in another direction. It's really a lot of fun, for the parents as well as the children, to feel that they can talk, that they are actually being listened to, that there's a place for them. And then suddenly the boy gets the courage to talk about social problems he's having, he thinks of solutions, sets objectives, and tracks changes on a day-to-day basis. True education is from hands-on action, not theory, and we're here to guide him along the way." Feiler also stresses the importance of the daily family meeting: "Out of dozens of ideas we tried out when I was working on the book, the family meeting was without a doubt the best thing we did. It opened up a safe space in which we could talk, where we, the parents, aren't stressed, aren't shouting and don't have one foot out the door. We don't rush our dinners to reach other tasks. Additionally, we gain information from the children. It's incredible. I mean, we don't know what they think and feel half of the time. Another advantage is that once they're part of the process they become independent. It's good for the family at the present moment, and it's a major and significant tool for later on in life." My children have dinner at six. There's no chance to have a family meeting with both parents present every evening at that hour. "You have nothing to worry about when it comes to dinner, and you're certainly not the only family that has a tough time gathering around the same table at the early evening. But things are better than you think. It turns out that just ten minutes of meaningful conversation with your children are enough. For the rest of the dinner time you mostly try to educate the children or just get the ketchup bottle from the other side of the table. You can take these ten minutes, situate them anywhere else throughout the day, and enjoy the same benefits. Try breakfast, or pre-bedtime snacks. Even one meal during the weekend can help. Nowadays people record their favorite TV shows and watch them when it's comfortable for them. This could also work with family time." "Parents today live through grades given by teachers", says Ronen Harel, "But using Agile allows parents to be present all along the way, not just in order to scold the child when he fails math. It requires giving attention to literature and bible classes as well, to tooth-brushing and social situations. 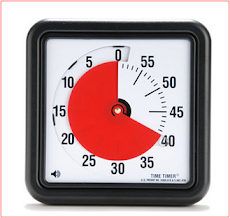 Overall we're talking about very short periods of time that produce significant results. The result of focused attention can be amazing. Very soon you start to receive feedback from school – the child knows how to explain himself, to divide large tasks into small and doable tasks, knows how to plan his time." "On New Year's Eve everybody announces 'I'll stop smoking!' and it lasts exactly two weeks. One of the most useful principles of Agile is visualization. The presence of the objective creates greater attention of it. When the objectives are small enough, not just for the two-week Sprint but also to day-to-day tasks, and when you examine them and allow yourself to change within cycles of feedback from your environment, you can really make progress and create significant changes." "We look back, learn and reach conclusions", says Yuval, also stressing the process that is a built-in part of the method, "In Friday night dinners we have a review meeting at the end of a Sprint. In this meeting each child presents last week's results – grades, a new dance the girls learned. It doesn't have to be tangible. Sometimes they take it upon themselves to speak with their teacher about a certain difficulty, or commit to mutual assistance between the brothers. More than that, they learn how to plan ahead, to be committed to the tasks of their choice, to speak in front of an audience, to listen. We're six people, and thus element of how to talk and listen even if you're not interested, is meaningful. We sit and think together in a retrospective process, how we as a family can improve next time. How many families do you know who do this?" After all it's just a technique, don't you need something more substantial than a managerial methodology to make changes? "The technique leads the mindset. They say 'a diet starts at the supermarket', and this also applies to family life, the foundation is correct planning. Managers are taught that employees – and this is exactly the same with children – have motivation buttons. You need to get to know them and develop them through these buttons. It's not easy, as a manager and a father, to set aside your ego in order to nurture inner motivation. You need to be willing to pay the price patiently and make sure that mistakes that do happen won't be critical, mistakes within reasonable boundaries. My daughter didn't do her homework. I didn't have a fight with her about it, I just waited. When she came to me a bit miserable because the teacher yelled at her, the motivation to act was hers. The procedure gives a very good foundation and of course you have to back it by the willingness to listen and be there." So ideally your children are free to do as they please, and you don't really have an idea of what that is? "One of the nice things in this system is methods of visibility. Once a team is independent, one of the problems managers face is that they lose the visibility of things that are happening and it's difficult. You're responsible for a project, you let the team be independent and don't have a clue what they're doing for two weeks. The child commits to preparing his homework until 7 PM, and despite this freedom you know that you're his safety net, you don't want him to fail. One of the things we encourage with teams and children is to display by pushing, the child needs to push the information instead of the parent nagging him for it. A simple technique is a board with three columns: what I'm planning to do this week, what I'm working on now, and what I've finished. You place the board in a central location in the house, we keep it in the kitchen, I pass by there and understand what's happening – the board has sticky notes with little stores ('math exam'), I look at the column and know what's going on with the child. I also use other means: whoever comes home takes his backpack with him to his room. Whoever finishes his homework places the backpack ready for tomorrow at the entrance to the house. I check where the backpack is and know what's going on." Have you become a better parent? "One of the significant benchmarks in Agile is how many times you said 'do it because I told you so, because I'm the boss' or how many times you've raised your voice at your employees. This is also true in the family. To become a better parent you need to be patient and not play the parent card whenever you encounter some difficulty. You need to leave communication channels open, and allow the child to make mistakes and feel that it's legitimate to do so – he has the freedom, and from mistakes you learn and get back on your feet." Feiler also stresses the aspect of the independence that the method gives children. "Our instinct as parents is to tell our children what to do. It's easy, and usually we're also right. But as an educational tool, it's not great. Recent studies of the brain show that when children set their own goals, build their own schedules and evaluate their own work, this leads to development in their prefrontal cortex and in the long term they become people with better control over their lives. "We decided to let our daughters choose their own rewards and punishments. He have weekly family meetings in which we discuss two issues we worked on, for example, overreaction. We ask our girls: what will motivate you to act? And they choose – if they overreact for less than five minutes they can spend the night at a friend's house, and if they do it for more than fifteen minutes, they need to do push-ups for every minute of tantrums and crying. The thing is that if we want our children to gain good decision making skills, we need to enable them to practice when they're young." A Meal, a Revolutionary Concept. 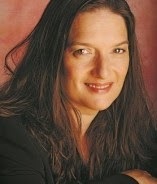 "I don't think running an organization and managing a family is exactly the same thing, but the very notion of having a shared family dinner, you can call it a meeting or a gathering or whatever, is revolutionary for most Israeli families today", says parenting guru Michal Dalyot who runs the Michal Dalyot Center, in a phone interview. "A family in which all household members (preferably including both parents, but even one of them) sit down to have a shared meal four times a week is very rare in the current Israeli landscape. The young children eat in front of the television set, the slightly older ones eat in front of the computer and even if one of the parents is home at the time he's busy: the mother is answering emails, the father is making lunch for tomorrow." Dalyot elaborates that "studies have found a clear correlation between people's success in different parameters in their life and the number of shared family meals they were present in during childhood. Personally, I always had dinner with my four children, and when my husband could he would join us. This idea, to look each other in the eye and talk, without screens, without rushing anywhere, is very good." "In Israel today there is no parental presence in the household. The parents are very busy: working and often studying as well. What little time is left to spend with the children, they're forced to devote to daily rituals: showers, homework, chauffeuring, and there's no availability for the essentials of values and emotions. We can make time for these things by using managerial techniques: the household is an organization managed by the parents. This organization needs to function efficiently in order for this small community, which includes four or five members, to work properly. "A family meeting is not an easy thing to manage. It requires serious work to prevent this meeting from becoming a fight: 'I expected you to do and you didn't', 'you were supposed to take care of that and didn't'. You need to come from a place of empathy and acceptance: 'why didn't we succeed?' 'Maybe we need to switch tasks?' Remember, we're parents, not a manager who gets up and goes somewhere else at the end of the day. It's important to remember that unlike in an organization, management can't remain dry. The household is not just tasks and daily quantitative output. True, we can manage our schedules and set a time for each child in advance, but it's important to remember to hug and kiss and mostly remain extremely flexible. Sometimes the child falls ill, sometimes his class is cancelled, there should be a lot of room for understanding changes." The families of Yuval and Shirly gained happier family life. Could it be that the tech crowd has once again been granted, even coincidentally, a better life, while simple workers and their families remain outside of the circle of beneficiaries? Dr. Sivanie Shiran, an organizational consultant who specialized in clinical psychology, says that "a lot of money was invested in developing leadership in business people, and in recent years we've learned a lot about managing and dealing with people with different personalities. Most of the lessons that were learned from all these years of research were taken to places that could pay for them, generously, to large companies and businesses. The family was left out of the picture and did not have a chance to make use of most of this knowledge. It's too bad and is a very sad statement about the places in which we decide to invest money and resources. "The family is the first team we belong to, our early experiences within this group dynamic will later affect our ability to function in any other team – professional or personal. A person doesn't see reality objectively, but from his very personal viewpoint. Our early experiences create the glasses through which we see the world, interpret it and communicate with it. The way in which our first authority figures acted towards us, our internalization of how to deal with authority, and our ability to trust others are very much reliant upon our initial experiences in the nuclear family." How can families make use of organizational management techniques? "Two central themes that were developed in organizations and can be very helpful for families are better evaluation abilities and consequently preventing future problems. Organizational psychology has developed fairly efficient tools to discover people's natural tendencies: how they read data, how they organize it, what motivates them. Organizations use these types of evaluation questionnaires to characterize managerial styles and enable managers to work in cooperation with employees who have different styles. If I'm the thinking type and you're the feeling type, we'll have to talk to each other differently in order to convince and solve conflicts. "This mapping can be very beneficial for future parents. They can understand things related to their natural tendencies and the way they act. Where do they get their information from? How do they process it? How do they make decisions? How do they gather energy? Should they be around other people or gather themselves inwards? When they have all this information, future parents can understand where there might be points of difficulty in the future and prevent problems from developing. But these questionnaires and analysis only reach clients who pay a lot of money, mostly businesses and not families, and certainly not in future-oriented preventive work." Still, is this knowledge the crux of the matter? Maybe the fact that parents spend too little time with their children and are under immense pressure is the actual problem, and not some managerial vision or other? "There's no doubt that family life in the modern world is a very stressful affair, and parenting has become a nearly impossible mission", says Shiran. "Doubtless organizations today don't make it easy to develop a life outside of the organization. People struggle to find the magic pill, the new technique, the amazing tip that makes everything possible. It's not likely to happen. Some techniques can ease the situation, but this problem runs deep." Why can't people manage to make changes in their families? The challenge is not to learn the information, or learn a new model. The challenge is to let go, or be aware of the models we already have and that we developed throughout our lives. In organizations too, people read the bestsellers that tell them how management is supposed to be done, what will cause things to work properly, but it only gets them that far. This is also true for families. There is a reason that people don't apply all this good advice. It sounds so obvious, so why not just adopt it into our lives? There are deeper reasons, because of which people haven't managed to do this so far and they will return to their previous behavior as they have done until now." Contrary to Shiran, Ronen Harel insists on being optimistic in declaring "Anyone can do it. Without a doubt. One of the families I coached was an ultra-orthodox Jewish family with ten children. Everything there is very complicated - who wakes up who in the morning, who makes whose sandwich for school. A whole system, one that you can drown in if it's not organized correctly. They drank these organizational ideas with a great thirst and since then are successfully applying the method. As far as you can get from high-tech, but as you can see, also very close." What is an Agile Family? · Daily family meeting at dinner or any other time, in which 10 whole minutes can be devoted to family conversation: What are the plans for today? What have we done yesterday? Where do expect difficulties? · A family board with tasks that need to be completed, that are being worked on right now and that have been completed. · Weekly review meeting in which three main questions are discussed: In which tasks did we succeed this week? In which tasks did we not succeed this week? What do we want to work on next week? At the entrance to Yuval and his wife Adi's home, a family villa in a settlement in the Sharon plain, two school backpacks stand. It looks like an ordinary affair, maybe even a bit of a mess, but in this house everything is part of a system: When I arrive, at evening time, we enter the kitchen. Like in most families, this is the heart of the house, and here they show me the core of their activity – a big colorful project board. Under things we want to do: preparing costumes for Purim, birthday gifts for Grandma, learning how to make sushi. Under things we're working on: riding a bicycle, organizing the kitchen. Under things we have done: preparing the backpack for tomorrow, paying insurance bills. Later the children lead us through the tour of the house, and show me their personal task boards. Every child, from age three, receives a board here, sets objectives for himself, tracks his progress and does everything in his power to complete them. At first this is small and essential personal habits (tooth brushing and making the bed), or tasks such as attempting to do a full split, preparing bracelets from rubber bands and signing the school report cards. But now, in the advanced section, one of the bigger projects that the older children are working on (9 and 12) is planning the family vacation. The destination was chosen in a family meeting, and the task of planning was given, mostly if not entirely, specifically to the family members who have never ridden an inter-city bus on their own yet. The children are happy to explain: "We're a crazy family. It's not always fun to plan everything, to think about stuff. Sometimes we just want to be free, to live in a normal house, where you eat dinner in front of the television and your parents aren't sure if you have a test in math or bible studies tomorrow." Yuval nods and legitimizes: "I don't want to raise children who do what they're told. When they rebel I'm actually happy. Let them try things out, choose what's best for them on their own." So when they want some time off you shut down the task board? "Certainly. And then they forget to do thing, fail in a dictation, and take the board out themselves." Still, what do you get from all this? The 12 year old answers that "I learn about myself. In the beginning I would fill the board with tasks. All the things I wanted to do, all my dreams. I would try to run six projects at the same time – studying for a test, learning to surf, becoming better at helping around the house, remembering to call my grandmother on Friday, and more and more. And I thought this board wasn't working. I'm writing all these things and not managing to do them. I took me time to understand that I can do maybe three things at once." And his father adds "In martial arts they say 'rest during the battle'. The problem with the modern world is that people are always adding more and more tasks and more and more pressure, and then they break. That's not particularly smart. What's smart is to acknowledge the boundaries of your abilities, to manage to prioritize and complete tasks from start to finish." What do your friends have to say? The 9 year old answers that "everyone's doing it here now. It's not only us anymore. My friends used to think it's weird. I don't always want to sit down and talk with my parents at dinner and sometimes I don't even want to be home in time for dinner, but after the family meeting I'm always happy I was in it. It helps me want to do things." 1. Relax. A 'fun' mood is better than stress, and always helps make things better, especially for kids. If you are so stressed from your current exploding task list , take a deep breath , count to 10 , relax yourself and only than start deal with your tasks using the following tips. Even if it means not doing something else! Prioritize the things you need to do. If you can not complete everything, that's OK. Complete the important things. "It's not that we can't do some tasks simultaneously. We can all chew gum while walking, and most of us can drive a car and carry on a conversation. But if we are lost in heavy traffic in an unfamiliar part of town, then the radio goes off and the talking stops. If two tasks are performed at once, then one of the tasks has to be familiar." - Sound Advice for Helping Kids Grow Smarter, Healthier and Happier, by David Walsh, Ph.D.